A snow storm up north means a cold front down south. 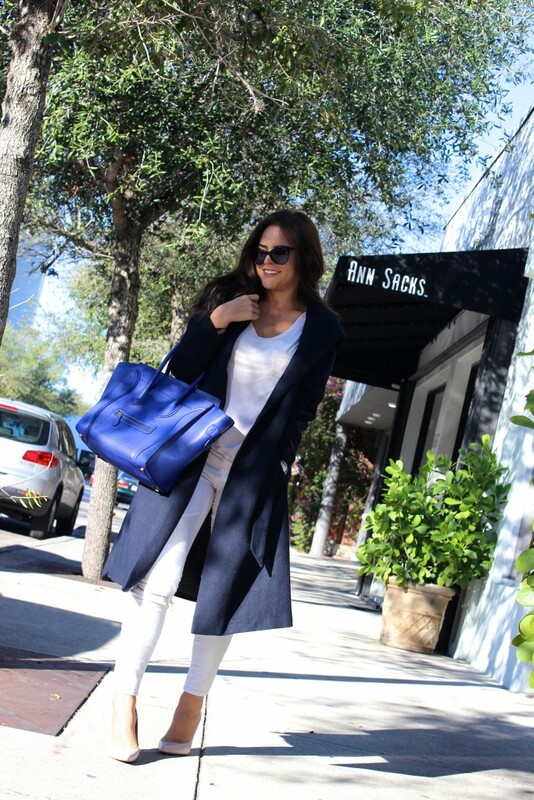 Unlike NYC, Miami’s weather this week has consisted of beautiful sunny skies and tempuratures in the mid and low 60’s; perfect for us (“Miami Natives”) to pull out our winter wear and try some of the season’s latest trends. Taking advantage of the weather, I channeled my inner New Yorker and pulled out my navy blue, wool duster coat. I decided to pair the duster with pale colors underneath to create a contrast between layers. 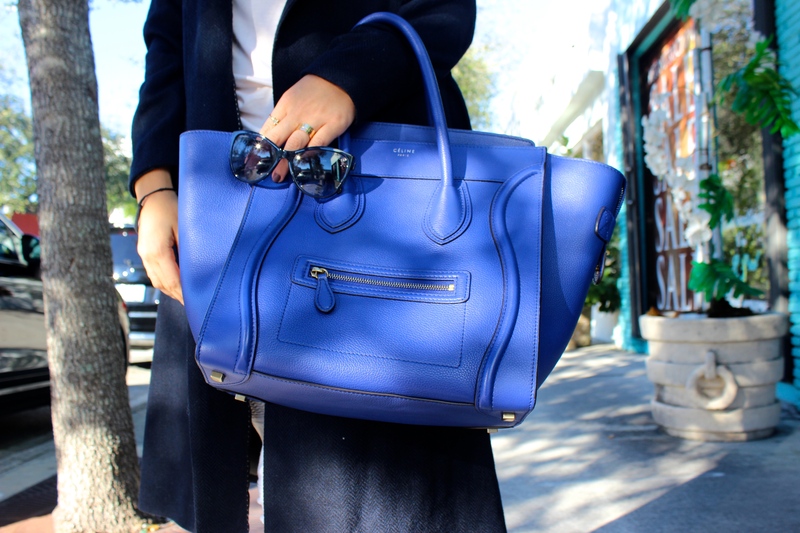 I wanted to bring out more of the navy blue in this color palette so I added my indigo Celine handbag. I initially feared that the length of the duster would make me look short but if styled and layered properly, anyone can pull it off, day or night.